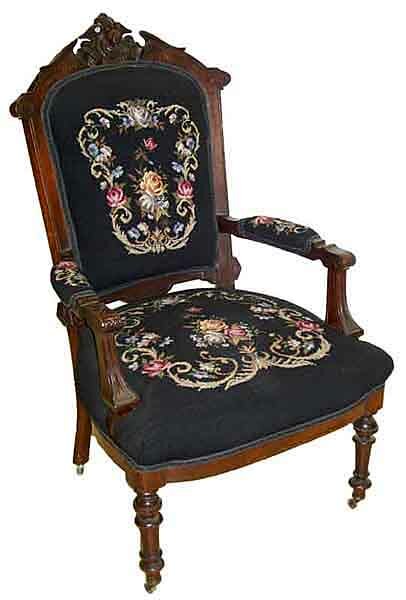 Beautiful 19th C. American Renaissance Walnut armchair with lady head crest. This chair will be converted from an old arm chair to a swivel chair for modern uses. A swivel base will be added and the legs are hand carved to fit each chair. They are reinforced so that when one rocks back and forth in their chair they can be assured that the chair will not break. The upholstery is done in top grain leather. These chairs are as beautiful as they are comfortable. Seat is 17" high. Items Similar To "31.6223 19th C. American Renaissance Walnut Armchair with Lady H..."
33.5808 19th C. American Renaissance Revival Pier Mirror.